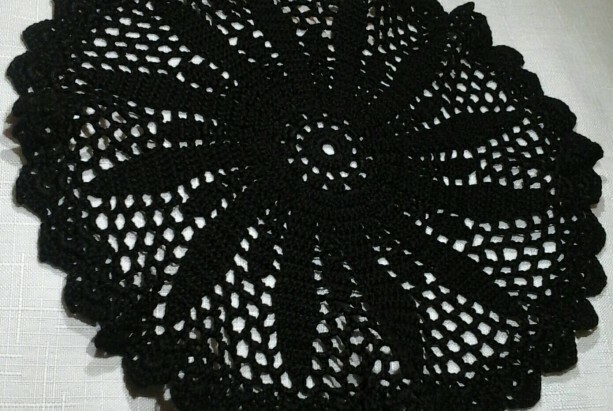 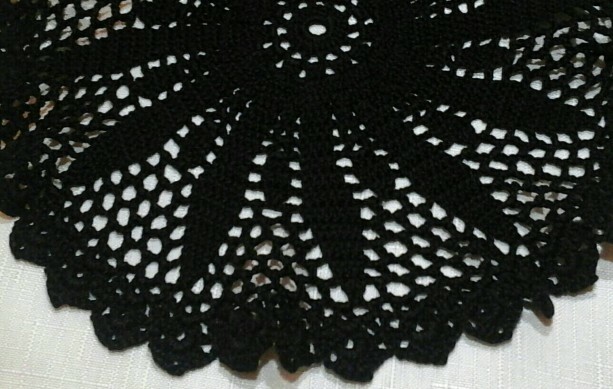 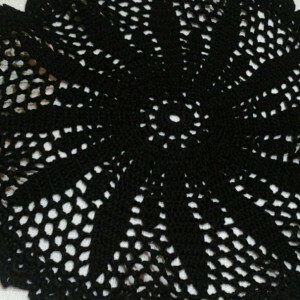 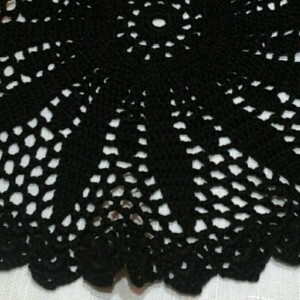 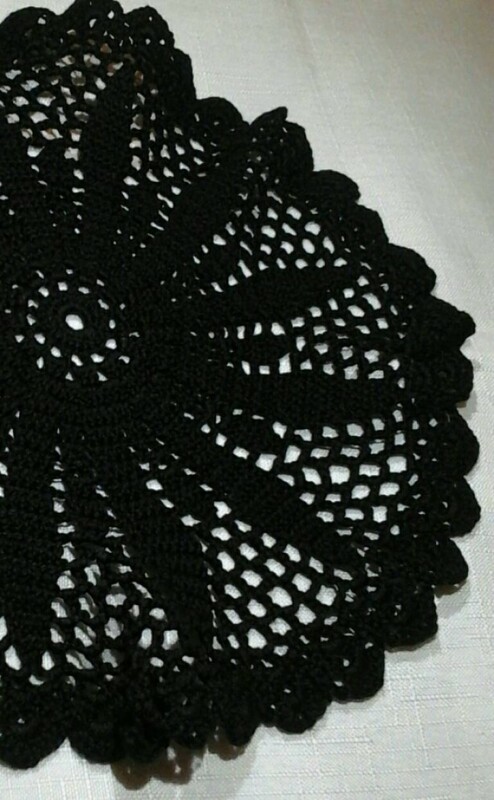 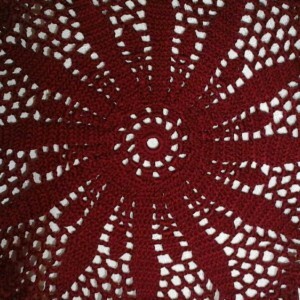 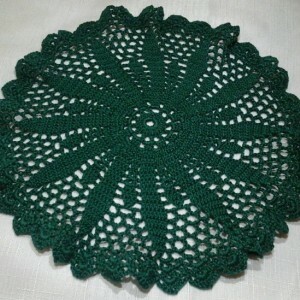 Medium Petal Doily in Black. 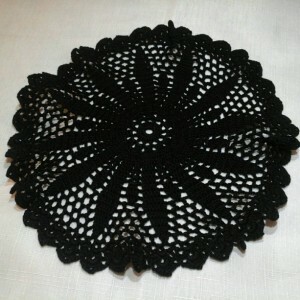 The medium Petal doily in Black has a dainty, flairing edge, with notable petals inside! 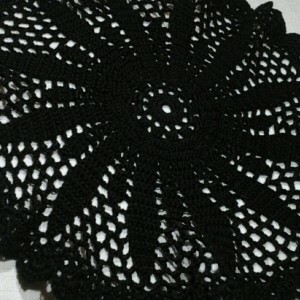 Material: Cotton crochet thread, size 10. 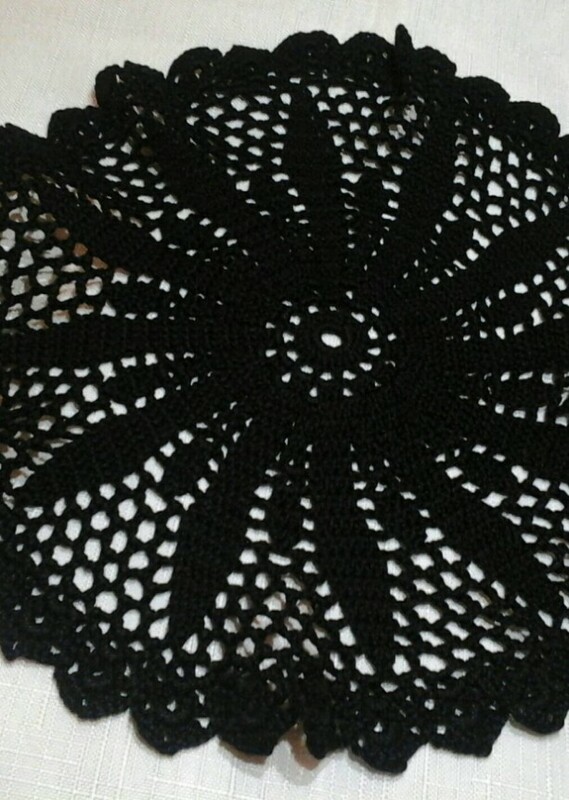 Color: Black Size: 9 inches Time to Create: 6 1/2 hours Smoke free! 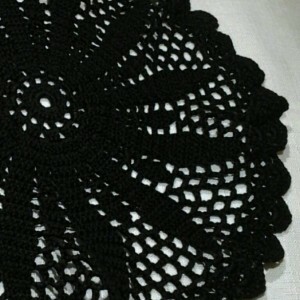 Pet free! Dust free!